This Spring/Summer Spend Less Time on Yardwork and More Time with Family & Friends! Why not have a beautiful flower-filled yard that’s low maintenance and drought tolerant? 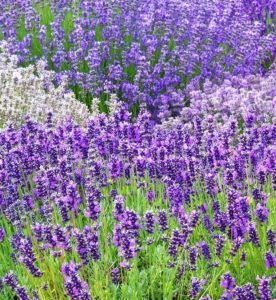 2) Lavender – This unmistakable flowering herb is a beautiful perennial and needs no introduction. It is easy to grow and tolerant of heat and drought and offers the perfect combination of color and aroma. You can also plant it in the pot, just be sure the pot has good drainage because the plant can not tolerate excess water. Learn more about growing lavender here. 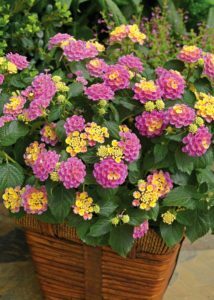 3) Lantana is a hardy tropical plant grown for its fragrant, colorful flowers. Although it blooms throughout the spring and summer, in warmer areas, it has year round flowers. 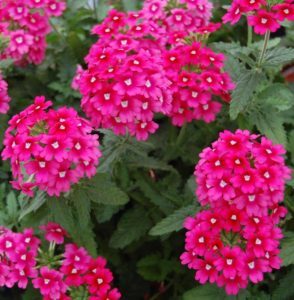 The Lantana loves heat and drought, a less demanding plant and can be grown in any soil type. Its flowers attract butterflies, bees, and hummingbirds. This plant is also easy to grow in pots. 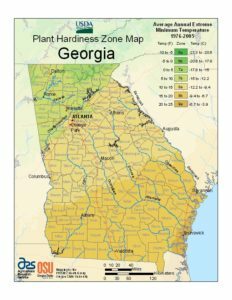 It grows well in USDA zones 7 to 11.